Construction and commissioning of the Whabouchi mine is expected to be completed within 15 months. Nemaska Lithium Inc., a Quebec-based miner and developer of lithium salts, has raised $1.1-billion from investors as it aims to respond to surging demand for the metal used in electric vehicles and cellphone batteries. The financing includes a $280-million public offering of common shares on a bought deal basis, an $80-million private placement of stock with the Quebec government and a US$350-million bond sale, Nemaska said in a statement on Wednesday. The miner has been working on the package for more than a year. 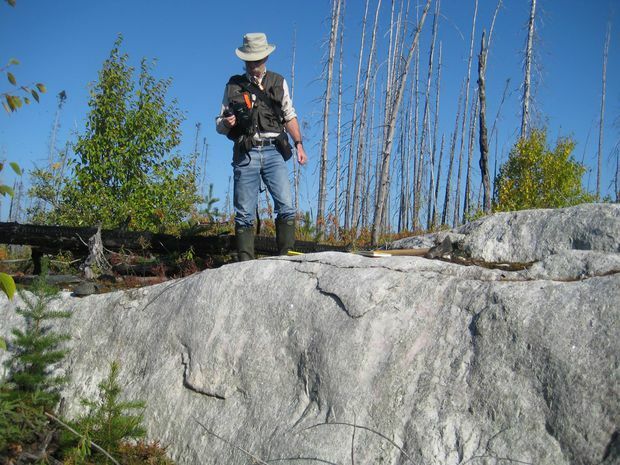 Nemaska chief executive Guy Bourassa will use the funds to build a spodumene mine near Nemascau in northwestern Quebec, where lithium will be extracted, as well as a lithium hydroxide and carbonate production facility in Shawinigan, Que., where the metal will undergo further value-added transformation. Construction and commissioning of the Whabouchi mine is expected to be completed within 15 months while the electrochemical facility is expected to start operating in two years time. That a small-cap miner with no revenue has engineered financing on this scale would perhaps be surprising were it not for the fact that most of its output is already spoken for. Demand for lithium used in batteries for electric cars has surged over the past two years and investor interest in the companies producing it is growing in tandem. The company’s plan is to make as much lithium hydroxide as possible. The compound is the fastest-growing lithium raw material in the global market for rechargeable batteries. Global lithium demand grew about 17 per cent in 2017 and the market could expand 20 per cent this year, according to Sociedad Quimica y Minera de Chile SA, one of the world’s major producers. In addition to electric vehicles, there are many additional uses for the metal coming up that haven’t been baked into forecasts, Jay Roberge, a managing director at merchant bank Tehama Capital Corp., told Bloomberg News last month. That includes battery-powered cargo ships. Guangzhou Shipyard International Co.’s battery-electric ship in China, for example, is equipped with a mix of lithium-ion batteries and super-capacitors for a total energy capacity of 2.4 megawatt-hours, according to a Bloomberg New Energy Finance report. Last September, Volkswagen AG pledged to bring 80 new electrified vehicles to market by 2025 and offer at least one electrified version of each of its 300 models across the VW, Audi and Porsche brands by 2030. Mr. Bourassa said satisfying that ambition alone would require several lithium mines such as Whabouchi. The junior miner has signed so-called offtake agreements with five different partners, including Britain-based Johnson Matthey and American chemical manufacturer FMC Corp. SoftBank Group Corp. of Japan also holds a significant chunk of Nemaska production, Mr. Bourassa said. It expects to generate $350-million a year in EBITDA on $500-million in revenue when production increases, he said. Quebec’s involvement in Nemaska underscores its commitment to pushing forward with Plan Nord, an economic development strategy launched by former Quebec premier Jean Charest and continued by current Premier Philippe Couillard. Centred on natural resource development, the plan aims to open up the north and improve the lives of those who live there by building new infrastructure and attracting investment.